Interior design trends come and go pretty quickly. While they were all the rage at one point, seeing chevron rugs or popcorn ceilings makes us cringe now. So we’d always recommend our clients steer clear of the trend of the minute, and instead look at particular styles, like Scandinavian interiors. A cohesive overall style is much more important than on-trend feature pieces that are likely to look outdated in a year or two. This isn’t something that most furniture shoppers would consider doing at the time, but it can save you a lot of money down the track. Unfortunately, not all furniture is made the same, and some pieces will be much more likely to break within a few years. One of the biggest mistakes we see furniture shoppers making is equating a hefty price tag with quality. Do what you can to research the build process of particular furniture stores. Figure out what sort of materials they use, how long it takes them to make a particular piece, whether the pieces are handmade or produced in a factory. If you can chat to the furniture craftsman to get some reassurance, even better. All of these factors will help you make an informed decision about whether the price is justified, and how long the furniture will last. While a decent furniture store isn’t likely to have a sale every few weeks, most will have at least one clearance sale per year to make room for a new range of pieces. If you’re happy to take the chance on missing out on a piece before the sale hits, this is a great option that could save you hundreds. At Buywood, we have a genuine once-a-year sale every year. Get in touch with our sales team to find out when the next one is occurring. If you don’t mind the occasional scratch on a piece of furniture (it’s just added character, right? ), then snapping up a showroom piece can save you a lot of money. Not every piece on display in a furniture showroom will be available for purchase, it will likely only be the lines that are discontinuing, but it can’t hurt to ask! Buywood Furniture offers high-quality, handmade timber furniture from our workshop and showroom in Alderley, Brisbane. Stop by to have a look at some of the pieces in our latest range, and to chat to our team about how each piece is lovingly crafted. Customers outside of Brisbane are welcome to browse our online store and make an enquiry about pieces. We deliver throughout Queensland, such as the Gold Coast, Sunshine Coast, Gladstone, Townsville, Rockhampton and Mackay. We also deliver to most parts of Australia. Get in touch to find out more. Must-Have Pieces by Molmic SofasRenovating Soon? 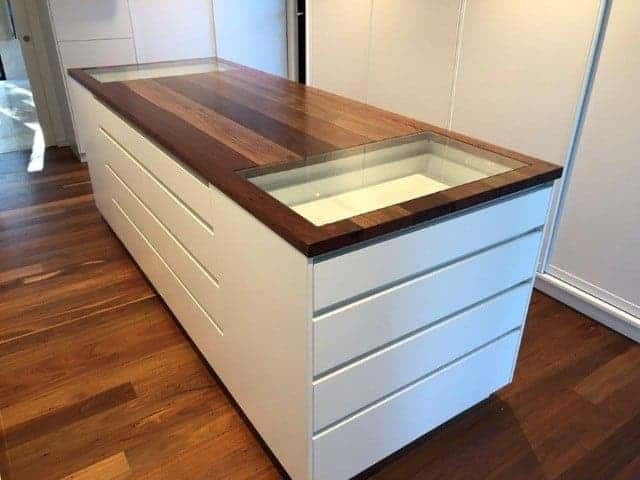 Considered a Custom Bathroom Vanity?